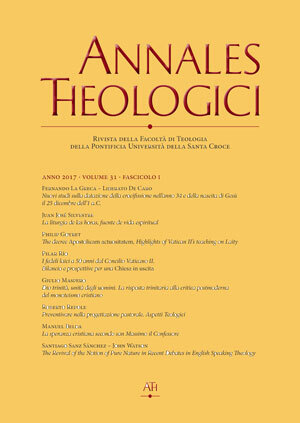 «Annales theologici» is an international theological journal established in 1987. 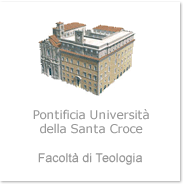 The journal, promoted by the School of Theology of the Pontifical University of the Holy Cross (Rome), is addressed to scholars and teachers of theology and religious sciences; and to all those interested in the contribution that theology offers to contemporary culture and to Church life. «Annales theologici» is especially concerned with the study of those topics involving dialogue between the Gospel and contemporary culture, and which best contribute to the scientific training and ecclesial education of the people of God. «Annales theologici» is published twice a year. Each issue consists of about 250 pages. It includes sections devoted to studies and commentaries; in-depth studies presenting a status quaestionis of debated theological topics for teaching purposes; book reviews and information about new theological publications.